Why in the world am I lacing up my New Balances for a team relay ragnar race that will span the entire island of Cape Cod in May? Because I sent my three kids to school today with the relatively reasonable expectation that they will return home this afternoon. This isn’t about guns or terrorism or any other threats that we continually face as a country. This is about a boy named Dylan who was one of the 20 students killed at Sandy Hook Elementary School in 2012. He was my dear friend's, dear friend's son. That is close enough to make me literally step into action. I am not one of these women. I admire them from afar. Specifically from my home, my sofa, my local wine bar. ‘You do you, ladies...I’ll be over here NOT participating. Where can I send a check?' The introvert in me shrinks away from the group photos and enthusiasm they exude. I don’t even feel bad about it. It just isn’t me. It is not the way I’m wired or how I demonstrate interest in a cause, or how I want to get in shape. The friend who asked me to join her is one of those women I mentioned earlier. Always choosing hope even when her heart hurts. Always running like a warrior, not a worrier. She asked if I would join her in a race to honor Dylan’s memory and raise money for his foundation; Dylan’s Wings of Change. I said yes for the obvious reasons of supporting her and a noble cause, but also because, for the first time ever in my personal life, running- moving my feet and forcing my body to move forward- seemed like a great response to the overwhelming and unanswerable questions we face in this life. Why that school on that day? Why can’t we protect our children from the unfathomable? It was enough to get me to hit the pavement. The first time, I was wobbly and panting- my lungs feeling a sharp sting from underuse, I thought about Dylan’s family. How did his family mobilize after such heartbreak, and create something so beautiful and life giving? How do we take our grief and transform it into something that will honor their beautiful son and help other children in his memory? 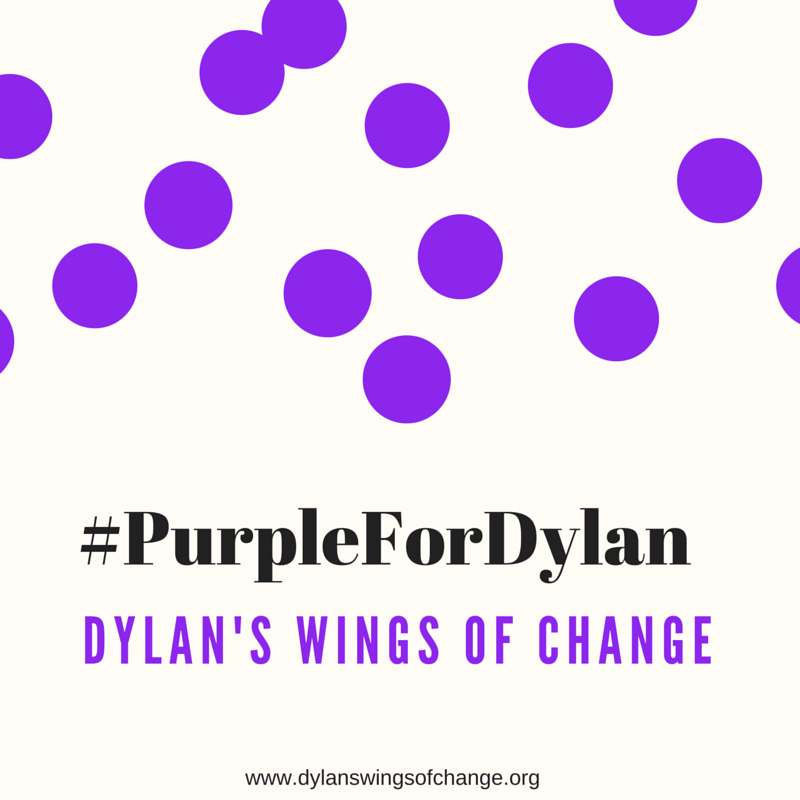 A butterfly is part of the logo design in Dylan’s Wings of Change. His parents asked him why he often flapped his hands. He surprised them with his response; “Because I am a beautiful butterfly.” They went on to describe how something as small as a butterfly flapping its wings can cause a hurricane halfway around the world. My teeny tiny contribution to this team will have unknown effects in ways I may or may not be aware of in the future. That is why, I think, we do anything. When we can’t do it ourselves, we rely on others to do it with us and for us. Today would be Dylan’s 10th birthday. I can think of no greater gift to give than being a part of the story that chooses hope even when there is heartbreak. I humbly ask for your support as I commit to this ragnar race. I’m certain I will be more of a caterpillar on this team of butterflies, but I will crawl to the finish if I have to. You can learn more about the amazing team I joined on my Crowdrise page. Please learn more about the work Dylans Wings of Change is doing here, and consider what you might be able to give to advance their work. Below are beautiful words his Mom shared on Facebook last night, as well as my contribution of purple dot art, per her request. Consider making your own purple dot art and sharing on social media with the hashtag #PurpleForDylan. I think birthdays are the hardest. Other milestones are hard, but at least then I can still picture Dylan as the 6 year old boy he was when he was taken from us. But birthdays? They are painful because that's when I get lost in imagining what he would be like now. Tomorrow, our beautiful boy would be turning 10. Double digits. How tall would he be? How would he like 4th grade? Would he be riding a bike without training wheels yet? Would he and Jake still be sharing a bedroom so we could hear them giggling together as they fell asleep? I avoid thinking about Dylan's birthday until the last possible moment. It hurts too much and I feel like my heart is being torn from my chest. But we must honor him...for the boy he was and for love we still, and will always, feel for him. Will you help us honor Dylan by remembering him on his 10th birthday, Tuesday, March 8th? Every day when D came home from school, he would proudly show me his latest drawing - always the same, always big purple dots. He loved making purple dots for some reason. For his birthday, create your own art for Dylan and post it on social media using the tag #purplefordylan. We'd love to see what you can do with purple dots and know that you are thinking of our beautiful baby boy.. We'd love to see what you can do with purple dots and know that you are thinking of our beautiful baby boy. Words are not adequate at expressing how much we miss him. Happy 10th Birthday, D. You are in our hearts and thoughts always. Mummy, Daddy and Jake.